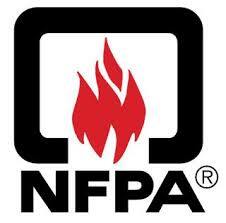 The National Fire Protection Association (NFPA) recently released its annual report on the state of the nation’s firefighting challenges. As usual, it’s a sobering overview of the dangers faced in the United States from accidental and intentional fires. Here are some of the highlights. The report, entitled An Overview of the U.S. Fire Problem, from the NFPA’s Fire Analysis and Research Division summarizes statistics projected from 2012 (the most recent data compiled) based on survey sample responses from 2,795 U.S. fire departments. It estimates that American firefighters tackled some 1.375 million fires in 2012. These fires caused 2,855 civilian deaths and about 16,500 civilian injuries, as well as an estimated $12,427,000,000 in direct property loss. There was a civilian fire death every 3 hours and 4 minutes and a civilian fire injury every 32 minutes that year. Home fires caused 2,380, or 83 percent, of the civilian fire deaths. Highway vehicle fires caused 10 percent of the civilian fire deaths. Cooking was the leading cause of home fires and home fire injuries. Unattended cooking was the “leading factor” contributing to such fires. However, smoking was the leading cause of home fire deaths (and has been such for decades). Heating equipment ranked second in reported home fires, home fire deaths and home fire injuries, according to the NFPA. Intentional fires, or arson, were the third leading cause of residential fires. Faulty electrical outlets or lighting equipment were the fourth leading cause of home fires. Use of candles was the fifth leading cause of home fire injuries. And children playing with matches and lighters rounded out the top factors list. On a positive note, the report noted that nearly all U.S. homes have at least one smoke alarm. Yet 60 percent of residential fire deaths “resulted from fires in homes with no smoke alarms or none that worked.” Sprinklers decrease the fire death rate per 1,000 reported home fires by 83 percent and the average loss per home fire by 69 percent. A vehicle fire every 182 seconds. Status reports from the NFPA such as this spotlight the risks that emergency professionals face on a daily basis. They also focus the public’s attention on the potential dangers of risky behavior when it comes to fire safety. It’s information we should all take seriously.